We cater to all of your needs! At Eva Cleaners, we only employ the best cleaners in all of London. We have searched far and wide and built up a steady and professional team of only the best! They are professionally trained and have the specific knowledge needed for an amazing quality upholstery deep cleaning service. Our existing customers all agree that our teams are professional, reliable, helpful and efficient and we know you will agree! 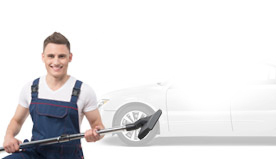 When looking for a quality cleaning company you need to know that your car is in the proper hands and that you will get great value for your money. With us, this is more than guaranteed! Don’t waste your time on unprofessional and unreliable services and call us now for the best car upholstery cleaning services in all of London! You won’t regret it so don’t miss out! A fully inclusive service from start to finish – we don’t take breaks and won’t stop until the job is done! The best prices in all of London – you won’t find better! 100% economically friendly and safe! A first class clean every single time! There are lots more reasons why you should go with us but give us a call and see for yourself! 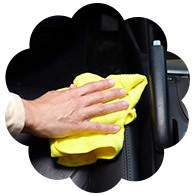 Over time, stains and odours tend to stick to the fabrics that cover your car seats. Sometimes, no matter how hard you try, there will still be a slight linger of those nasty smells or stains. These can build up, making self-cleaning a near impossible task. In these cases, it is always best to call the professionals in! 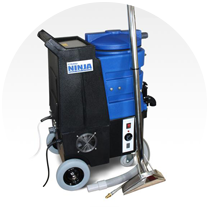 We have an extremely high success rate for 100% stain removal and odour removal because of the specialist methods, equipment and products that we use. We know exactly how to tackle these very common problems in the most professional and efficient way so you won’t be left disappointed. Now is the time to wave goodbye to stubborn stains and lingering smells by calling us today on 020 3409 1608. Our services are very flexible and designed with you in mind! Do you have leather seats in your car? These can be difficult to clean, but with us, it has never been easier! We have the know-how that will set you right! We know the difference between car fabrics and covers and can ensure that we use the methods that will specifically suit the materials in your vehicle. We also handle standard fabric upholstered seats, so whatever you have, we are able to help! We are perfectionists when it comes to our industry so you can relax knowing that we are doing the best job possible. It’s better to get your stains banished sooner rather than later with our car upholstery cleaning service so call us now! Have you recently got your hands on a second hand car? Or are you looking into purchasing but have been put off by grimy or smelly seats? We have the solution. You may be surprised at how much difference a professional internal steam clean from us can help transform your second hand car. We will make sure that your seats look, feel and smell as good as new! If you’re missing that wonderful new-car smell, then call us today to solve the issue! We can take care of all the problems you may be experiencing with your interior. 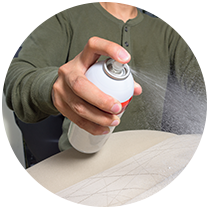 Our car upholstery cleaners pay excellent attention to detail and your needs always come up to the top of our list – every single time! We have excellent prices and options available so let us transform your new-old car today! We have a great range of products, services and equipment, and aim to offer our customers the best prices on the market. For a car seat wash that you can afford, then please get in touch with Eva Cleaners today. 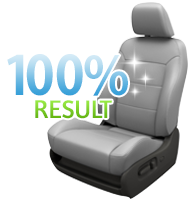 Cleaning car upholstery is our specialty and passion and we would love to share it with you! So if you’re looking for a positive transformation in your vehicle interior, you’ve come to the right place! Call us now on 020 3409 1608 or the best deals, advice, expertise and to book an appointment!